The first book for the general public about mindfulness and medical practice, a groundbreaking, intimate exploration of how doctors think and what matters mostâ€”safe, effective, patient-centered, compassionate careâ€”from the foremost expert in the field. As a third-year Harvard Medical student doing a clinical rotation in surgery, Ronald Epstein watched an experienced surgeon fail to notice his patientâ€™s kidney turning an ominous shade of blue. In that same rotation, Epstein was awestruck by another surgeonâ€™s ability to slow down and shift between autopilot and intentionality. The difference between these two doctors left a lasting impression on Epstein and set the stage for his lifeâ€™s workâ€”to identify the qualities and habits that distinguish masterful doctors from those who are merely competent. The secret, he learned, was mindfulness. InÂ Attending, his first book, Dr. Epstein builds on his world-renowned, innovative programs in mindful practice and uses gripping and deeply human stories from clinical practice to give patients a language to describe what they most value in health care and to outline a road map for doctors and other health care professionals to refocus their approach to medicine. 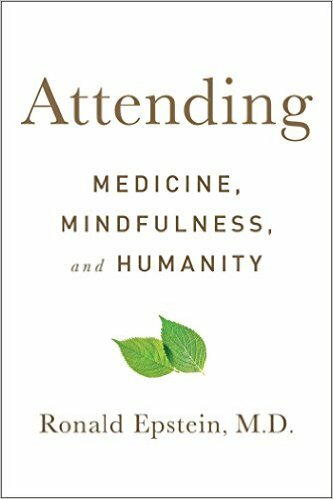 Drawing on his clinical experiences and current research and exploring four foundations of mindfulnessâ€”Attention, Curiosity, Beginnerâ€™s Mind, and Presenceâ€”Dr. Epstein introduces a revolutionary concept: by looking inward, health care practitioners can grow their capacity to provide high-quality care and the resilience to be there when their patients need them.